Learning jazz guitar is fun, but it can also be challenging, even for players with a strong rock, blues, classical, or other musical background. While there are challenges to learning jazz, it doesn’t have to seem impossible or beyond your skills to learn. This three eBook package has everything you need to play chords, improvise solos, and play chord melodies, even if you’ve never played jazz before. 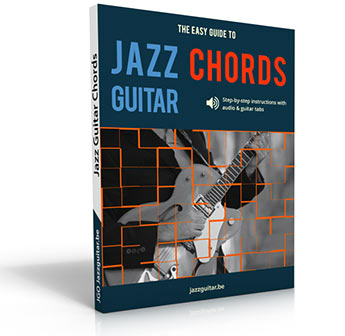 Each book starts from the beginning and works up to the intermediate level of jazz guitar, laying out easy to understand exercises with hundreds of musical examples along the way. If you’re just starting your jazz guitar journey, or want to solidify your fundamental skills, this eBook package is exactly what you need. Save 30% when you buy the 3 eBooks as a bundle! is to use arpeggios in your lines. 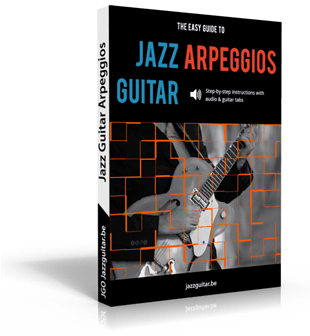 15 Chapters of must-know jazz arpeggio concepts and applications. Easy to follow concepts with hundreds of fretboard diagrams and tab/notation examples. Over 100 audio examples and backing tracks. Sample solos over common jazz tunes to amp up your studies. Practice pointers to help you get the most out of your time in the practice room. Everything you need to master jazz guitar arpeggios. day 1 of jazz guitar to comping over standards in no time. 226 audio examples with guitar tabs/notation or chord diagrams. Practical, musical examples for each chord concept presented in the book. 28 Slow and fast backing tracks for each chord progression and standard studied in the eBook. 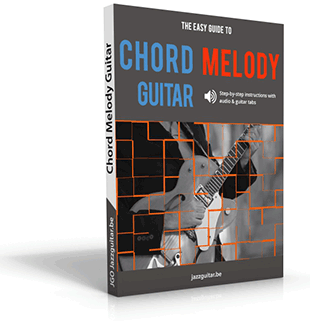 A chord dictionary with bonus harmonic exercises to take your chord playing to the next level. Picking hand variations and exercises to develop both hands in the practice room. Guide to Chord Melody comes in. 356 pages of text, musical examples, and backing tracks that break down essential chord melody and chord soloing concepts.